Review Pay attention now, because there’ll be a test on this at the end. This time last year, Apple’s laptop range consisted of two main product lines. 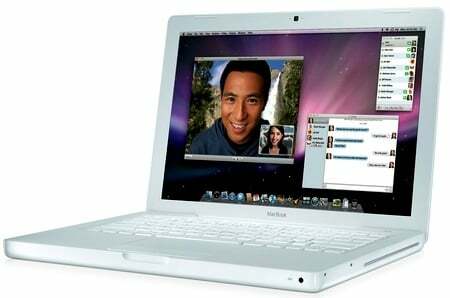 The mainstream, consumer model for home users and the education market was the highly popular MacBook, with its 13in screen, white plastic casing and a price tag of around £700. Alternatively, for 'professional' users, there was the gleaming metallic design of the more powerful MacBook Pro, which was available in 15in and 17in versions with prices starting well in excess of £1000. Then, in October 2008, Apple revamped the MacBook, giving it a shiny new aluminium casing – along with a hefty price increase that took the starting price close to a grand. 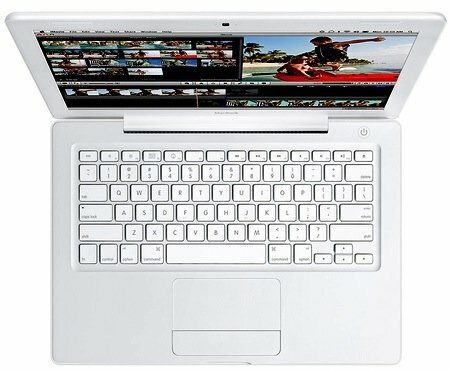 But, mindful of the recession, Apple also left one of the old White MacBook models on sale too. That meant that there were completely MacBooks - one plastic, the other aluminium - competing for the same audience. In January 2009, there was an odd update to the White MacBook which actually decreased the processor speed from 2.1GHz to 2.0GHz – presumably to match the 2.0GHz starting point of the aluminium models – but compensated by giving the White MacBook the same GeForce 9400M integrated graphics chipset as the metal model. The ‘entry-level’ MacBook now offered features and performance to match its much more expensive sibling. Apple is proud of its gleaming new aluminium baby and obviously didn’t want to undercut sales of that model so, barely six months after the last revamp, Apple has decided to completely overhaul its entire laptop line yet again. The aluminium MacBook has been reworked and promoted to the rank of MacBook Pro. This means that the plastic MacBook is once again the sole mainstream model for consumers, while the shiny metal stuff is reserved purely for 'serious' folk. In other words, we’re back to where we started 12 months or so ago. It also means we can go back to just calling it the ‘MacBook’. We hope that’s made everything clear….